In the previous blog I described to you the weird behavior of our system (ERP – HCI – C4C), whenever a change was made in a customer. 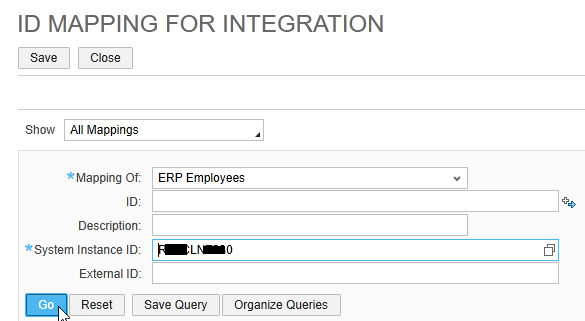 In this blog I will explain the solution to overcome this deletion of ERP fields along with images. In a more general approach, the are two reasons for that problem that have to be solved . 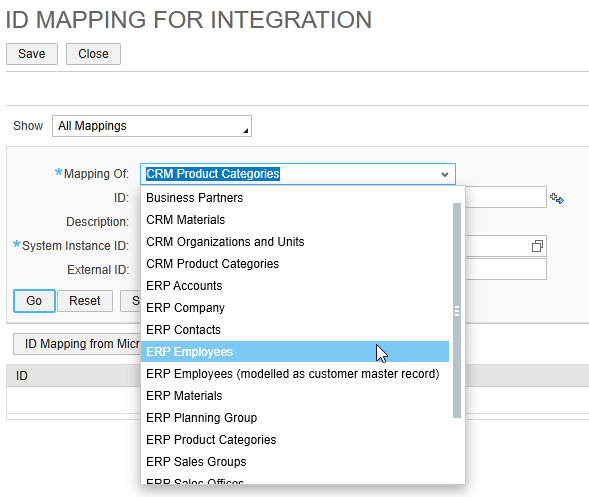 “APPLICATION AND USER MANAGEMENT“, then “ID MAPPING FOR INTEGRATION“. The following image shows a list of employees where “ID” is the C4C Internal ID number mapped with the External ID number (ERP). In this blog you can see the way to do this mapping. If the error persists, you have to move to the second solution, described in the next blog, part 3.